SEER is the acronym for Seasonal Energy Efficiency Ratio and is the most common way to evaluate an air conditioner’s efficiency. The SEER shows air conditioning and heat pump cooling efficiency, which is calculated by the cooling output for a typical cooling season divided by the total electric energy input during the same period. A SEER rating is a maximum efficiency rating, so it’s important to remember the efficiency of your system can also depend on the size of your home your current ductwork and other variables. The higher the SEER rating, the less energy your air conditioner consumes. Metro Toronto, York, Richmond Hill, Markham, Newmarket, Aurora, Keswick, Hamilton, Burlington, Oakville, Kitchener, Cambridge, Guelph, Durham, Simcoe, Etobicoke, Mississauga, Brampton, Strathroy, Arva, Woodstock, Waterloo, St. Catharines, Niagara, Ajax, Whitby, Oshawa, Pickering, Bowmanville, Vaughan, Scarborough, North York, Thornhill, Stouffville, Sutton, Willow Beach, Schomberg, Brantford, Barrie, Alliston, Orillia, Cookstown, Innisfil, Malton, Caledon, Bolton, Milton High Park, Weston. EER stands for Energy Efficiency Ratio, and is actually an older way of calculating energy efficiency than SEER, having been used since 1975. Like SEER, a Fujitsu air conditioner’s EER rating measures an air conditioner’s efficiency, but where SEER is a means of measuring seasonal efficiency ratings, an HVAC system’s EER is more of a constant. EER is more of an engineering number, and will probably be used by an HVAC technician. EER is calculated using a constant outside temperature of 95 degrees, a constant inside temperature of 80 degrees and a humidity level of 50%. No seasonal temperature changes are factored into a unit’s EER rating. Call Aire One to find out how you can lower your annual cooling cost by 35% by upgrading your Fujitsu or Mitsubishi air conditioner to an efficient one. SEER is the most common value can be used to compare one AC unit to another directly, especially when looking at large, central air conditioning units. However, you should not use this value to measure how efficiently your new air conditioner will operate or how much money you can expect to save without making a right calculation. This is because, a SEER rating is only a rating based on a standard test across a specific seasonal temperature range. First you should find out which SEER rating is required for your climate zone, then make the best decision for your area and easily calculate your expected energy used and money saved. SEER estimates how much energy your new unit will use in a year, accounting for seasonal changes. We provide you a great select of high efficiency Air Conditioners by Carrier and York! Call us now to know about offers and promotions! EER ratings are more commonly encountered with smaller window mounted air conditioners. A Fujitsu air conditioner’s EER rating is best used to objectively compare air conditioners or to do any type of load or engineering calculation. Because it is not using any additional inputs, the EER value, is the most accurate way to compare two different HVAC units, for a contractor, not a homeowner. You have to realize that the EER value will not give you an accurate representation of your energy bills over a typical cooling season. Check high efficient York and Carrier heat pumps. Which one is Better to use, SEER or EER? It can be hard to find a central air conditioner’s EER value without digging into some manuals. Most of the time, EER is used on smaller, window air conditioners where using SEER would be impractical. Some manufacturers will note it, but it is used less frequently than a SEER value. 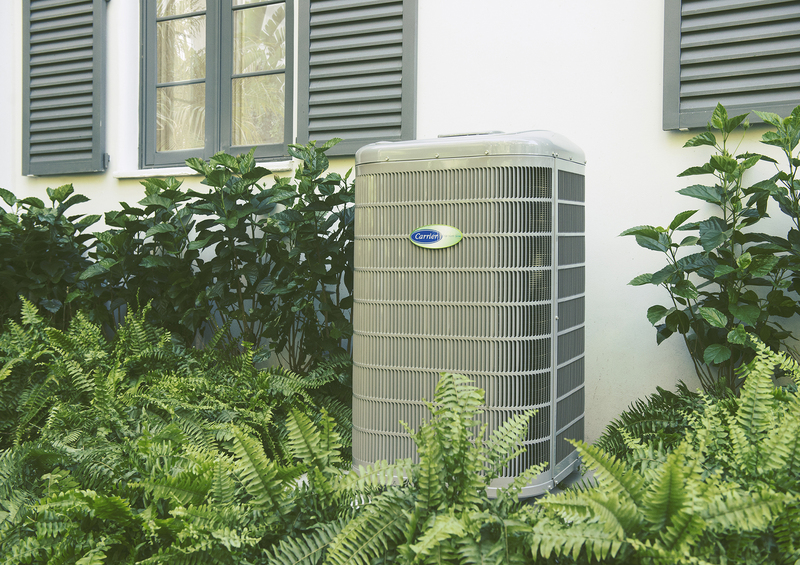 When shopping for a new air conditioner, the most important thing is to compare EER to EER, or SEER to SEER. Never compare the EER of one unit to the SEER value of another; they don’t correlate! In general, if you are a homeowner, use the SEER value for comparing units to one another if you live in a more moderate climate, and use a unit’s EER value if you are looking at a window AC unit or if you live in an arid climate like the Okanagan Desert. Do you want to know how much money in electricity you could save by upgrading your air conditioner? Ask Aire One professionals, call us now!